Why should you invest in Fazaia Housing Scheme Gujranwala? Lately, Fazaia Housing Scheme Gujranwala has started to see some activity, which has convinced investors and genuine buyers that the project will be livable sooner rather than later. The launch of many new options and the serious approach of the developer to deal with the related matters have urged me to cover this development in detail. If you don’t know it already, let me tell you that Fazaia Housing Scheme Gujranwala is the developer’s first project that offered separate quotas for civilians and Pakistan Air Force employees. Though the project has stayed idle for more than 3 years, things might not remain the same anymore! Compared to many newly launched housing societies in the city, Fazaia Gujranwala has a better location on National Highway. It is located only 7 kilometers away from central Gujranwala and is easily accessible from Railway Station and General Bus Stand, while Punjab University and Gujranwala Medical College are located at a short distance from the society. 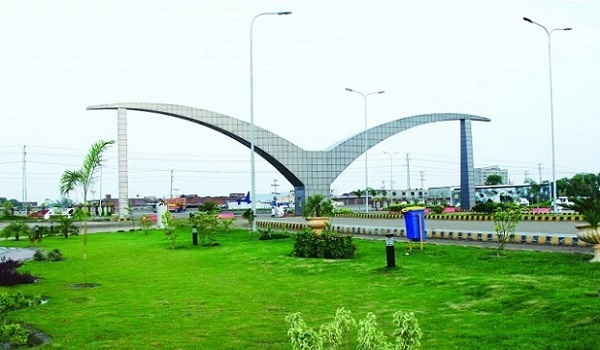 When launched, property in Fazaia Housing Scheme was offered at the cheapest among all projects in Gujranwala, as it offered plots to both civilians and Air Force employees on instalments spread over 3 years. In civil quota, it offered 5-marla, 10-marla, and 1-kanal residential plots for PKR 1,599,000, PKR 3,050,000 and PKR 5,850,000 respectively. These plots were made available at 20% down payment with remaining amount to be paid in 12 quarterly installments. Unlike many other fine projects, the society is still affordable. To attract investors and buyers, Fazaia followed the market trend of introducing property files and offered first two transfers free of cost. Housing projects usually bag a huge amount of money in terms of transfer fees and Fazaia seems to have disregarded the idea. This particular step played an important role in propelling sale-purchase activity for files in Fazaia Housing Scheme Gujranwala. For 3 years, Fazaia management kept on delaying balloting and gave a new date each time it felt pressurised. It seems as if the developer was not interested to conduct balloting for some years. But on May 21, 2016, Fazaia announced to hold balloting in July 2016 and promised to offer possession of properties to 50% of the file holders. Let’s hope that management will keep the promises this time. By offering 5-marla, single-story built houses, Fazaia has become the first developer in Gujranwala to offer readymade houses. These 2-bedroom, 5 Marla houses are being offered for PKR 3,750,000. You can book a unit by making a 20% down payment, while the remaining amount can be paid in 8 quarterly instalments. The developer has committed to build 100 houses in Block A, construction of which has already begun and will take another 2.5 years to complete. About 6 months ago, Fazaia started offering plots to its old and new clients in Block A on cash payment. For old clients, the developer introduced an option of file adjustment if the remaining amount has been paid in full. This strategy didn’t make many people happy, as Fazaia tried to treat old and new clients in the same manner. The developer also offered commercial plots on cash payment in Falcon Complex and granted possession on a priority basis. At the moment, construction of four plazas have started there. Fazaia has disappointed people for years but a lot has changed lately. The development work is almost complete in Block A and many plazas are being constructed in Falcon Complex. Furthermore, construction work been has also started on Samhan Homes. Is this the best time to invest?? Yes, now is the right time to invest in Fazaia. I foresee the prices to go up in coming days. Please note that the new bookings are already PKR 200,000 to PKR 400,000 lac more expensive than the old bookings. This is likely to make the old bookings even more popular. If you have an old booking, sit back and watch your investment grow and if you still haven’t made a move, now is the time.